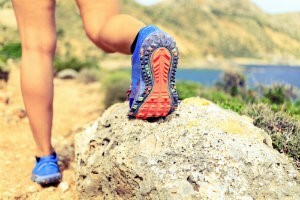 Multi-Sport and Endurance Athlete Treatment | Podiatry Associates, P.C. Many athletes define themselves by their primary sport: they are football players, basketball players, tennis players, and so on. However, plenty of athletes enjoy multiple sports—or, as in the case of triathletes, regularly compete in multiple endurance sports all at once. Endurance sports and multi-sport athletes have their own set of complications and common injuries that have to be carefully treated to allow you to continue to do what you love without pain. While accidents can certainly happen to anyone, many endurance and multi-sport injuries are from overuse and overtraining. They develop as a result of repetitive motions wearing on your limbs, improper technique, or simply not having enough rest in your training regimen to allow your body to recover. Endurance sports are designed to push the body further and longer than you might normally do. Instead of a short 5k run, or a few miles on a bike, you run a marathon, or bike a hundred miles. You have to pace yourself to last. Training for these events means practicing just that: pacing yourself and going significant distances. Overtraining and overworking your body, particularly your lower limbs, is common. As a result, injuries like Achilles tendinitis, plantar fasciitis, shin splints, and stress fractures are common. Knee pain from patellofemoral pain syndrome and iliotibial band friction syndrome are common as well. If you consider the swimming portion of triathlons, shoulder injuries become prevalent as well. Once the pain starts, overuse issues like these common endurance and multi-sport injuries tend to only get worse. The pain and the damage to your lower limbs and other parts of your body only increases until you get treatment. Our foot experts, Dr. Cynthia Oberholtzer-Classen, DPM and her team, along with our physical therapy specialist, Dr. Jennifer Molner, DPT, will carefully evaluate your condition and diagnose both the problem and the contributing factors. Then we can begin treating the issues so you can return to your activities. Treatment will mean a rest period to allow the damaged tissues to heal. This will mean scaling back your training significantly, and possibly substituting your normal regimen for cross-training to keep your body in shape without aggravating the problem further. Ice and other methods may be helpful for reducing inflammation and swelling. You’ll most likely need to stretch and recondition your lower limbs or other joints to handle your activities. You might need to change your footwear to better support your lower limbs, too. Then you’ll have to ease slowly back into your training regime. Of course, preventing the problem in the first place, or taking steps to prevent the injuries from happening again, will help you in the long run as well. Most importantly, this means scheduling rests into your training regimen to allow your body to recovery. Stretch regularly and condition your lower limbs for the strain of your sport, too. Don’t overlook the value of your shoes, either. Make sure you wear a properly supportive pair that helps absorb shock while reducing pressure on your limbs and joints. Whether you’re a single sport or a multi-sport athlete, taking care of your body, and particularly your feet, is incredibly important. You can’t take your lower limbs for granted. Don’t wait until a problem is keeping you from your next event to get care, either. If you’re experiencing any pain or trouble, let our experts at Podiatry Associates, P.C. help you. Contact our offices in Parker, Castle Pines, and Denver, CO, for more information or to make an appointment today by calling (303) 805-5156 or by using our website.